Have insurers established ICD-10 accommodation periods? As the Oct. 1 ICD-10 deadline inches closer, many insurers haven't announced whether they have implemented accommodation periods--when they will pay claims that aren't coded correctly as long as they're in the right family of codes, reports Health Data Management. After Health Data Management contacted seven national insurers, as well as the Blue Cross and Blue Shield Association and America's Health Insurance Plans to learn about their ICD-10 contingency plans, only Humana, Aetna and AHIP responded and none actually addressed whether they had accommodation periods prepared. Medicare said in July that it reached an agreement with the American Medical Association that it won't deny or audit claims based solely on the specificity of diagnosis codes for the first year after ICD-10 use, FierceHealthIT previously reported. Although private insurers aren't announcing their ICD-10 contingency plans, they're likely still planning to offer some similar concessions to providers. But they don't want make these plans public so providers and vendors continue working to prepare for the ICD-10 compliance date, Pat Kennedy, president of PJ Consulting Inc., which specializes in electronic data interchange and insurers, told HDM. Kennedy said he expects insurers to announce their accommodation periods within the next month. Part of the concessions they will offer will likely include extra staff to help make the transition to ICD-10 smooth. He added that large insurers will probably be working hard to accommodate providers for at least six months. "This is a tough one, tougher than anything we've ever had to do, and the payers and vendors know that," Kennedy said. A new DOTmed article on EHR and EMR management has some good points on the use of EHR and EMR and the new rules and regulations. 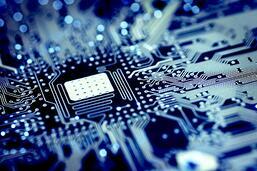 This article found some important information about use of EHR and EMR. Last year, the Centers for Medicare and Medicaid services announced that 257,000 doctors, or about one third, had failed to achieve meaningful use of electronic health records, and would see Medicare payments cut by 1 percent in 2015. 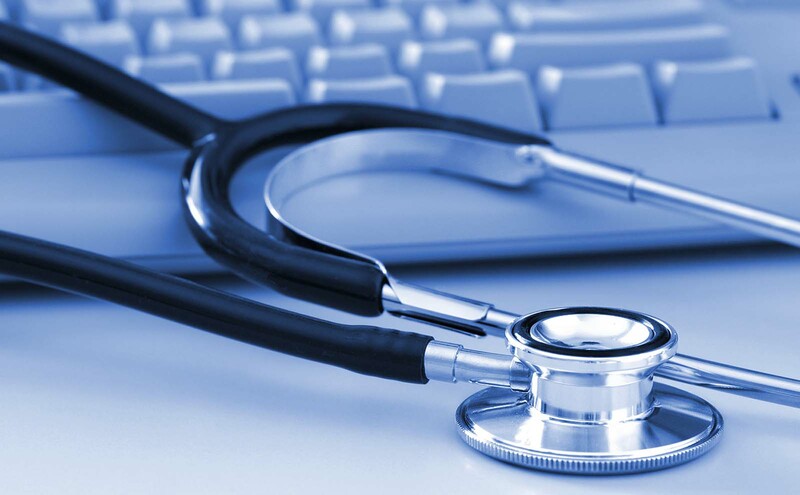 CMS announced earlier this year that it intends to modify requirements for meaningful use in 2015. Hospitals and physician practices are still being required to move down the path to recording and exhanging information in a meaningful way. Health IT companies are responding with new products that promise easier image sharing and workflows, time saving, and interoperability. While the new IT is great for the advancement of healthcare, doctors are facing new burdens. The documentation burden is present more than ever before, and these doctors need assistance if they are going to provide quality care to patients. Medical scribes are growing in popularity, because they can help with the growing burden these doctors face when it comes to documentation. The leading scribe trade group predicts the number of scribes working in America will go from about 20,000 today to 100,000 by 2020. It projects the population of what it calls “medical transcriptionists” to grow from 84,000 in 2012 to 90,500 in 2022.) The ACMSS is working to develop national standards for what’s now an unlicensed profession, says Kristin Hagen, the group’s executive director. A few years ago, one of the first big whitepapers on EMR as a hot growth area for staffing came out, titled "The Electronic Paper Trail: Why EMR is Staffing's Hot Growth Area", and this piece identified the EMR growth in healthcare. But, with this "hot growth area" that is EMR staffing for implementation comes another piece to the puzzle, one that our team at Scribe Solutions is very familiar with: the medical scribe. The article says, "healthcare information technology is the new big thing in staffing, thanks to the growing need for healthcare organizations to implement electronic medical record (EMR) systems. While this article is correct in saying that there is/was a growing need for healthcare organizations to implement EMR systems, since this article was written in 2011 some of that has changed and the new need is for data entry. 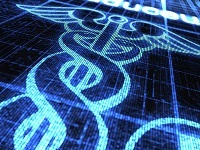 There was an initial wave of EMR systems implementations following the Affordable Care Act becoming effective in 2010. While some organizations still have a need for EMR systems implementation, there is a new need tied to Health IT, as mentioned above, and that need is for data entry into these EMR systems. Patient records need to be properly documented online, especially with meaningful use requirements in place, and often times this documentation adds extra hours of work to doctors' already busy work schedules. Here is where scribes come in: scribes take away this burden, and as the meaningful use deadline approaches, hiring scribes is more important than ever for these busy physicians. More literature has come out on the need for scribes, and the benefits of hiring scribes are becoming more evident. The American Academy of Orthopaedic Surgeons boldly highlights these benefits in its published paper on the benefits of using scribes. On the top of the AAOS paper it is clearly stated in the header:Physicians can spend more time with patients; charting accuracy is increased. The AAOS paper's author, a physician himself, makes a strong case for hiring scribes, and who better to hear this news from than a practitioner himself. G. Klaud Miller, MD, the author of the paper, is a member of the AAOS Practice Management Committee who is in private practice in Chicago. Miller highlights the reasons why scribes are key to success in the age of required documentation using EMR, advocating:"...using a scribe saves time. The physician never has to do after-hours dictation in the office or bring charts home to dictate. The chart is completed when the physician leaves the examination room. A physician who sees 20 patients a day and spends 5 minutes per chart dictating or writing the notes saves more than an hour and a half of time by using a scribe. Independent of any of the other benefits, how much would you pay to get an extra hour and a half or more per day?" He says it best when it comes to summing up just how helpful hiring scribes is and how using scribes is the way of the future, stating, "Although using a scribe may sound like a luxury to some, I have found that scribes more than pay for themselves in numerous ways, and I would never practice without one." Interoperability has become a key topic in today's healthcare research and this issue has brought the collaboration between the private and public sector into the spotlight. The Office of the National Coordinator for Health IT has increased efforts recently, timing these efforts with the Meaningful Use deadlines approaching organizations nationwide. U.S. Department of Health and Human Services Secretary Sylvia Matthews Burwell announced a new program last week that would be a two-year grant program for $28 million to encourage adoption of health IT and to increase interoperability, thus supporting the use of the health information exchange. HHS and the new program will include 12 new awards; these awards will be cooperative agreements to states, territories or state designated entities to continue work under the same intent as the original State Health Information Exchange Program. As quoted in FierceHealthIT, HHS Secretary Burwell spoke about the new program: "This two-year grant program will ask awardees to demonstrate innovative, community-based solutions to advance, standardize, and secure an interoperable movement of health information across organizations, vendors, and geographic boundaries." She continued to discuss the importance of the new program for interoperability: "It's important to remember the real reason we're doing this work because if we succeed in our efforts around interoperabilty and delivery system reform, it means that a patient who's admitted to a hospital or referred to a specialist will be more likely to get the right tests and medications because her doctors are doing a better job of coordinating with each other." As we know in the medical scribe industry, the increasing presence of technology in healthcare operations can increase efficiency. While technology can improve efficiency and help streamline activity in practices and hospitals, this high-tech environment can cause headaches in the process. This HHS program and the Health Information Exchange are keys to improving the quality of care for patients. But, it is key to hire the right people to implement these changes and to help in the adoption of the rapid changes in the way the healthcare industry does business. Medical scribes can be of assistance to busy practices and organizations that are adapting to the new technological changes in healthcare. Scribe Solutions will attend the American Academy of Emergency Medicine's 21st Scientific Assembly. This conference will be held in Austin, Texas and will run from February 28th through March 4th. Interested in hiring medical scribes? Do you have staffing needs in terms of EMR documentation? Scribe Solutions can help! Feel free to stop by the Scribe booth to speak with a representative from our company and to grab an information packet. BOOTH 302 is where Scribe will be! Would you like some background on EMR and medical scribes now to see if scribes might be right for you? Read this information segment below and then stop by our booth at AAEM in a few weeks...we'll see you then! By definition provided by the U.S government Health IT website, an electronic medical record (EMR) is a digital version of a paper chart that contains all of a patient’s medical history from one practice. An EMR is mostly used by providers for diagnosis and treatment. EMRs are more beneficial than paper records because EMRs lead to improved efficiency and organization of records. Digital management systems for tracking patient care and maintaining that patients are properly informed about their health via online records is key to keeping up in the digital age. Using EMRs can be overwhelming to doctors who are more accustomed to paper charts. This is where the scribes come in! Medical scribes focus on completing all of the electronic record work while the physician focuses on the patient. Thus, by handling data management tasks, scribes allow physicians to have more time with patients and to better manage their patient treatment time. Centers for Medicare and Medicaid Services recently announced that it is considering proposals to shorten the meaningful-use reporting period to 90 days in 2015. Providers have been requesting this change. This change would mean that providers could meet the meaningful-use requirements and in turn could avoid financial penalties with software in place for less time than what is currently required. It is clear the providers are faced with the modernization of healthcare and improving efficiency in healthcare today. Many have turned to EMR and medical scribes to adapt to meaningful use as a whole, but extensions in the reporting period among other changes could help physicians transition smoothy and without hassles and headaches. Experts and researchers have weighed in on this potential change. President and CEO of The College of Healthcare Information Management Executives, an organization that is an advocate for the changes in reporting period length, stated, "Meaningful use has the potential to be a transformative program for the nation's healthcare delivery system and we commend CMS for recognizing the need for a course-correction." Other groups have also praised CMS for looking into/and most likely changing the reporting window. The Medical Group Management Association and The American Medical Association praised the CMS for agreeing to modify the window, and they are pushing for CMS to issue the new rule quickly. In addition, according to the Modern Healthcare article, CMS also is considering changing reporting periods to the calendar year to "allow eligible hospitals more time to incorporate 2014 Edition software into their workflows...and will modify other aspects of the program that may lessen providers' reporting burdens. Also, CMS explained that the rulemaking on reporting period flexibilty will be separate from the upcoming third-stage meaningful-use rule, which is expected to come out in March. Meaningful use takes some navigating by these physician groups. While CMS is doing its best to work with practices and hospitals to come out with the best-fit programs for healthcare as a whole, this space can be tough to handle in a busy healthcare environment. Medical scribes can lead to increased efficiency, and this has been proven in many practices and organizations. Scribes may be the answer to some of the problems physicians are facing in the switch to EMR. With supportive legislation from CMS and useful and beneficial programs by CMS, together with scribes, healthcare as a whole is on the path to becoming a more organized, high-tech sector. According to a new study by global consulting firm Accenture, consumers with chronic illnesses are less bothered by privacy concerns tied to EMR. Instead, the chronically ill are more concerned about the privacy of shopping and banking transactions than EMR and healthcare records. The study's research shows that more than half (51 percent) of the U.S. chronically ill (consumers who have chronic conditions) feel that the benefits of accessing medical records electronically outweigh any risks of privacy invasion. In this study, titled the Accenture 2014 Patient Engagement Survey, more than 2,000 U.S. consumers were polled. A unique fact was uncovered in the study, that when it comes to perceived risks in terms of privacy and EMR, the opinions on the matter varied based on specific chronic illnesses of each type of patient in the survey. The highest percentage of patients believing that EMR benefits outweigh the risks were those with cancer (57 percent). Other patients that were surveyed had smaller percentages of belief on the risks versus benefits of EMR; asthma and arthritis patients weighed in at a 48 percent belief that benefits of electronic health record sharing outweigh perceived risks. Another key finding in this study is that patients expressed their desire for access to EMRs, revealing their belief in the right to access their EMR, with 69 percent saying that having access to their health data is a human right. Additionally, Accenture's findings indicate that it is clear that people, especially those with chronic conditions, want access to their health records. But, as fedeal legislation supports the shift to EMR, it will be interesting to discover just how many patients will shift to accessing their records via EMR technology. While the switch to EMR may seem daunting to many practitioners and patients alike, medical scribes can ease the transition to EMR. Meaningful Use Stage 2 is here, so this topic is pertinent. Scribes can help improve efficiency in healthcare practices and organizations. Combining new technology with the added resource of a scribe can increase efficiency and aid in the better documentation of patient health records. ICD-10 has been in the news...alot. Whether you like it or not, ICD-10 is going to be shaking things up. So, it is better to get on board now, before it is complicated and costly to do so at a later date. The American Medical Association published a list of the top 10 issues for physicians to watch in 2015, and ICD-10 implementation and meaningful use are part of this list. The AMA list examines the large amount of regulatory requirements, and this list explains that these regulatory requirements can take away from what is most important to most physicians...treating the patient. According to the AMA research, in order to advance health IT, many are asking for some relief when it comes to government mandates. While improving efficiency can be a result of switching to electronic medical records (EMR), the heachaches and hassles that many physicians are facing relate to government regulation and lack of time in effectively treating the patient while also switching to EMR. On the AMA list, meaningful use is focused on and the need for improvement is highlighted, according to FierceHealthcareIT. Meaningful Use has been criticized as being too broad and its one-size-fits-all nature has been called incomplete. Sustainability of practices is of great concern to physicians today, so these issues and complaints noted in the AMA list need to be addressed in order to allow for the efficency that improved documentation can provide. Medical scribes can assist in the shift to electronic medical records (EMR) and can stay on as continued providers of efficient documentation of patient records. Using a medical scribe can take away the obstacles that many physicians face in treating the patient while also using EMR technology. Healthcare efficiency is an important topic in today's world, and while the technology can be helpful in documenting patient records and staying organized, using the technology can be time consuming without the assistance of scribes. According to the article, the AMA has pushed for end-to-end ICD-10 testing, which the Centers for Medicare & Medicaid Services announced would take place from Jan. 26-30, April 26-May 1, and July 20-24. Also, the article notes that many are starting to make the shift to ICD-10, citing figures by CMS, which revealed that acceptance rates during the November ICD-10 acknowledgement testing week improved to 87 percent.